While video captioning and subtitling services are used to promote accessibility and inclusivity, these are also being strategically utilized by companies as part of their marketing systems. Video captioning or subtitling services can be used to boost content visibility on search engines like Google, since video content is not easily categorized or “read” by search engines and can only be indexed by their texts (i.e. captions and subtitles). This heavily supports SEO strategies imperative to content marketing in order to drive extra website traffic and eventually maximize audience reach. Video captioning or subtitling can also be used in qualitative or market research: the researcher can use subtitled or captioned videos to better present stimuli to respondents. Afterwards, the market researcher can have their interviews or focus groups captured on video be captioned or subtitled for quicker review, analysis, or reporting. Video captioning, also referred to as “same-language subtitling”, aims to provide the deaf or hard of hearing communities a full experience of a video they’re watching by supplementing not only the dialogues but everything in the audio track beyond speech. Basically, video captioning assumes that the audience is unable to hear the audio, thus describes what they would otherwise be hearing like background noises, soundtracks, and other relevant audio cues enclosed in brackets – e.g. [phone ringing] and [eerie music starts]. Captions are usually white in a black translucent box. Positioning plays an important role in video captioning, as the hearing impaired audience needs help distinguishing different speakers. Videos with multiple speakers can position captions by the person who’s speaking, but sometimes captions are placed constantly on the lower part of the screen, labeled. Subtitling is a straight transcription or translation of the speakers’ spoken language to one that’s familiar to the audience. These are created assuming that all of the viewers are hearing people. Unlike video captioning, subtitling contain less information as there’s no need to describe audio cues and background noises. 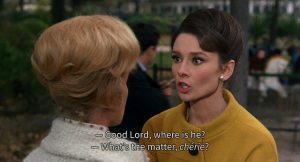 Subtitling services often have more versatility and have complete control of the font styles and colors of subtitles – the most common is white with a black rim or drop shadow. These are commonly positioned in the lower, middle thirds of the screen but can be positioned at the top at times when key information are found at the bottom. Like video captioning, subtitles can be turned on or off and can be permanently burnt into a video or film as well. TranscriptionWing offers video captioning services of your choice – whether open or closed captioning – at an inexpensive per minute rate of $1.25! Feel free to provide us your transcript or have us transcribe the recording for you. 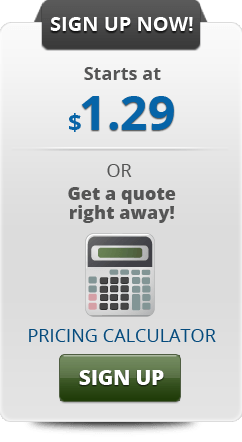 Our transcription pricing starts at $1.25 per minute only! You can also explore our subtitling services by letting us know the details of your project at transcripts@civi.com and we’ll be glad to be of help! Advantages of Corporate Transcriptions: Why Transcribe Earnings Calls? An earnings call, derived from a shortcut of the term “earnings per share” (EPS), is basically a conference call wherein the top management discusses the financial performance or results of a reporting period, as publicly traded companies are mandated by federal security laws to be transparent with information mentioned in 10Q (quarterly report) and 10K (annual report) forms along with qualitative discussions. Thus, several companies promote data transparency and provide recordings or transcripts of earnings calls on their corporate websites to keep all investors in the loop with the happenings and decisions being made within the company. The first and most obvious advantage is having information accessible and easily disseminated through email or websites, especially for investors and the like who were unable to attend the call. Corporate transcriptions help companies deliver accurate messages and information to investors for thorough review. Providing documentations allows stakeholders to easily highlight key information most beneficial to their interests. 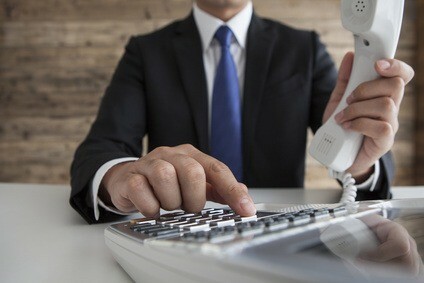 You can ensure that you’ve presented the correct information during earnings calls but you can never guarantee that conference call participants catch every detail exactly as intended. Earnings call transcripts are provided to people after the call for them to review meeting information and determine if there are corrections or arguments to be made. Media, bloggers, financial analysts and planners, and prospective investors can also considered as financial stakeholders nowadays. The rise of blog posts, forecasts, and reviews had made the internet as the people’s go-to source of information. Since the public doesn’t have the luxury of joining earnings calls first-hand, transcripts are published to satisfy their need for information about stock trends and opportunities, as well as the success or failure of their investments, and help them make informed decisions for future investments. Corporate transcriptions are very useful for generating various accessible formats to be archived for easy referencing and analysis. Transcripts of past earnings calls are retained in websites to avoid confusion among the public. Companies usually choose to publish earnings call transcripts instead of audio recordings as they tend to be smaller in file size. Choosing the right transcribing service is critical to the quality, timeliness, and security of sensitive information. Additionally, knowing the best practices for recording conference calls will make it easier to transcribe it. 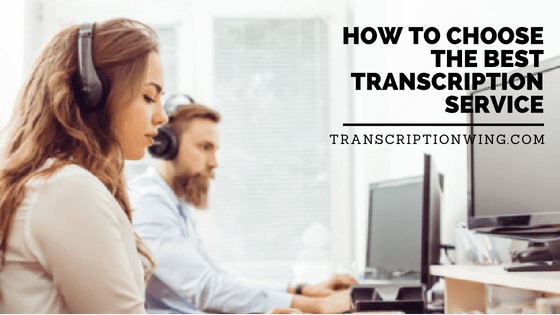 Find a general transcription service, like TranscriptionWing, that’s experienced in producing corporate transcriptions, highly familiar with business and financial terminologies, customizes transcript formats, and who goes the extra mile to protect client confidentiality. Flexible schedule. Working as a freelance general transcriptionist allows you to set your own hours and empowers you to take control of your personal and career calendars. It’s totally up to you whether you prefer to work during the day or night time and how long. You get to decide when to take breaks too! Jobs in transcriptions relieve you from the pressure of a company’s standard working hours – you’ll be free to maximize family bondings and other priorities as long as you don’t flake and are able to meet strict deadlines. Control your earnings. Transcriptions is also a good industry to explore if you’re hunting for a part-time job for supplemental income. General transcription is a fantastic way to make some extra money to make ends meet when savings have fallen short. You can control your earnings by taking extra assignments (as needed) which can give you some income security. Employment opportunities. Whether you’re a stay-at-home parent, retiree, or even a college student – you can opt to be a freelance transcriptionist even if you have a non-transcription line of work. As long as you possess the necessary skills of a good transcriptionist, you will surely be able to generate superior outputs. Additionally, getting transcription certifications can give you a definite edge in the industry, and is otherwise required if you want to apply for specialized transcription jobs if you want to work as a medical transcriptionist or as a court reporter or stenographer for legal purposes. Portability. Have you ever felt like seemingly unable to build a career, as if constantly moving gets you stuck in always being the newbie? If you’re a professional nomad (e.g. military spouse), general transcription online can give you a steady career as the portability of transcription jobs allows you to take your work anywhere you go. You can even work while you’re on the road or on vacation! Minimal Equipment Investment. Starting a freelance general transcription career is probably the best work at home job around if you don’t have the means to invest in a family business. You don’t have to purchase anything for transcriptions – all you need to have is a laptop or desktop computer, a headset, and a decent internet connection, which you probably have at arms reach already given the digital age. Plus, the software and transcription formats you’ll need will be provided by the transcribing company you choose to work for! There’s a vast selection of free transcription software you can download from the internet too, if you decide to be an independent transcriptionist. 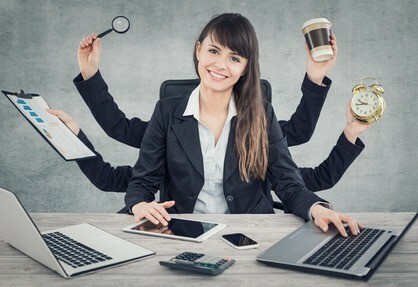 The aforementioned benefits are without a doubt attractive, however you must be completely aware that working remotely requires immense self-discipline for effective time management. There should be limitations set for different distractions – tradeoffs for the comfort of your home – in order to competently get the job done. A pair of good ears is stringent to transcription work. Even in transcribing general topics, you are required to have an accurate understanding of dialogues despite some audio challenges like background noise, crosstalk, and soft voices. In severe cases, an audio transcriptionist should be able to make intelligent “sounds like” guesses for barely decipherable parts of the audio. A good remedy to this is the use of TranscriptionWing’s nifty feature called ListenLink where an unintelligible part of your transcript is embedded with a link to its corresponding audio segment. Together with attentive listening, having a sharp memory helps in general transcriptions big time. Instead of frequently pausing the audio to type, having a sharp memory helps a transcriptionist type longer dialogues, catching every word without the need of frequent pauses and replays. An average person types at 40-45 words per minute, but a good typing speed of a transcriptionist is at 60-80 words per minute with very minimal errors. On the other hand, a professional audio transcriber can type as fast as an impressive 100 words per minute. Although some transcription requests are verbatim-specific, some clients still prefer non-verbatim or clean, easy-to-read transcripts. A transcriptionist should have high grammar, punctuations, and spelling proficiencies to provide tidied transcripts without compromising the meaning and original thought of the dialogues. Although there are digital tools that identify and correct mistakes like these in a breeze, it is still important for them to have a good knowledge foundation to prevent basic yet mortifying mistakes. An outstanding research skill is a must-have for transcriptionists. Files on diverse topics are assigned to them every day. Having a great research skill is a big help for catching words or terminologies they’re unfamiliar with, as well as for researching crucial information and proper nouns like names, acronyms, companies, establishments, or brands in general. A good transcriptionist is a keen listener and punctilious to small details that smart and pure verbatim transcriptions require to be transferred in print. For instance, the speaker said “like” five times, the audio transcriber should type exactly that – “…like – like – like – like – like…” – in the transcript. Utterances such as hmm, uhm, and uh-huh also perceives different notations imperative to market researchers. Laughter and pauses are also detailed in transcripts. Small details like these contribute to the meaning conveyed by the speakers in the audio, which is why transcriptionists should be particular with these as requested by the client. To be a qualified transcriptionist, one must be focused and determined to getting the job done competently. A 1-hour file takes an average of 6 hours to transcribe. It’s not a child’s play. A transcriptionist should be able to neglect unnecessary distractions and concentrate in long periods of time whilst transcribing to ensure complete accuracy and timeliness of work. Transcriptionists should be diligent and self-motivated towards reaching the team’s goal, which is providing top notch transcripts on time. Therefore, they should be passionate and meticulous on following the company’s standard of quality. Ultimately, diligence and strong goal orientation along with focus and determination boosts the perks and benefits you get as a transcriptionist when the company you work for realizes your dedication. We offer general transcription services across a multitude of fields, so it is a must that our transcriptionists are all fast-learners – comprehends different topics in short periods of time for them to turn in sensible, superior quality transcripts. A person does not need to have advanced computer skills to become a transcriptionist. Basic skills like knowing to how maximize the use of Microsoft Word for proper transcription formats and also Google search proficiency is enough, but the openness and willingness to learn how to utilize the required transcription software is a must. Here at TranscriptionWing, our pool is composed of carefully handpicked general transcriptionists making sure that the quality of our transcripts remains second to none. Be it in-depth interviews, focus groups, podcasts, seminars, conference calls, or even video captioning – our transcription team’s expertise will surely provide accurate transcripts specific to your needs.